For the 25th anniversary of the fall of the Berlin Wall, Nomos has created a pair of special edition Orion watches, available in two sizes, both with grey dials matched with gold indices and hands, at an affordable price typical of Nomos. 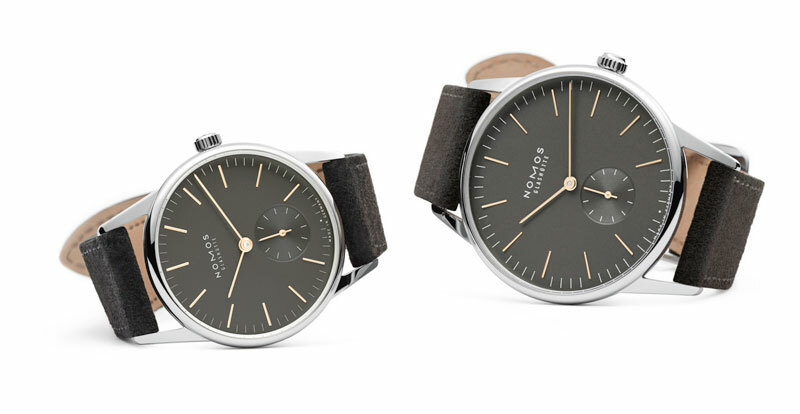 The Berlin Wall came down on 9 November 1989 – to mark that event German watchmaker Nomos has unveiled a pair of Orion wristwatches. Available in two sizes, 33 mm or 38 mm, the Orion 1989 has a galvanised “November grey” dial with gilded hands and markers. The dark dial makes these unusual, as the quintessential Nomos look is a clean design with a silvered dia. The case is polished steel with a sapphire crystal and solid case back. 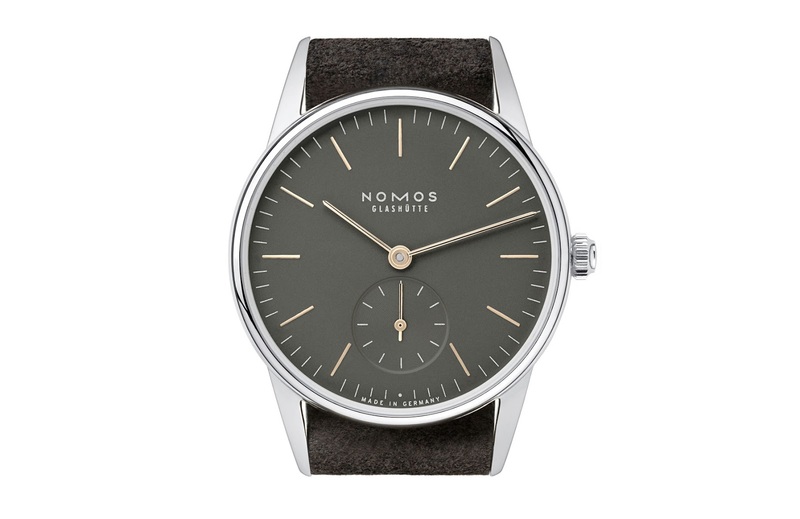 Both models are equipped with the Nomos Alpha movement, a hand-wound calibre with a 43 hour power reserve. Though the underpinnings of the movement are the reliable Peseux 7001, the movement is made in-house by Nomos. And like all Nomos movements it is attractively decorated – the bridges are striped and the winding wheels have a sunburst finish – more so than most other watches at this price point. The Orion 1989 is supplied on a grey nubuck leather strap. The 33 mm model retails for US$2300 while the Orion 1989 38 is US$2620 – both cost just $60 more than the comparable regular production Orion. 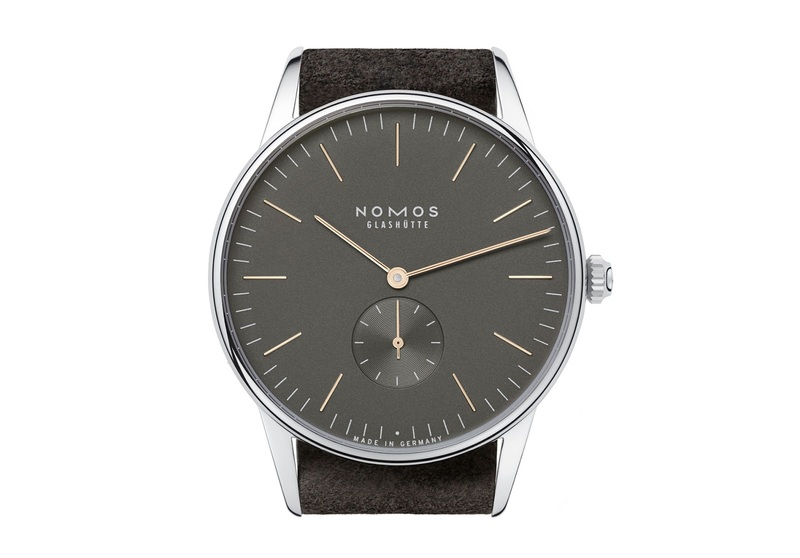 They will be available on November 9 at retailers and also direct from Nomos.